If you're a WordPress user, you'll know that it's an incredible flexible platform both in terms of access and with adding extra functionality. You may be pleased to know that it has just gotten a whole lot more flexible as the popular content management system now has an open-source Google Docs plugin. The plugin - which his available on the Google Web Store page - will integrate part of WordPress’ system into the Chrome version of Google Docs. With this added functionality, those with WordPress.com blogs or WordPress.org (the self-hosted version) websites with the “Jetpack” plugin can now draft and edit posts that can be published on your website later on. Those who are looking to collaborate on posts can now do so from the comforts of Google Docs in real time which is one of Google Docs' great selling points. 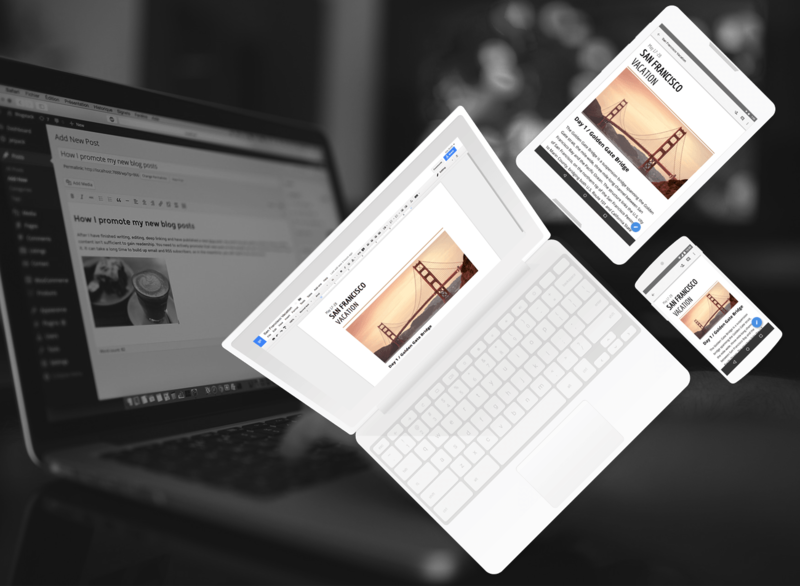 As well as this, preparing an article for WordPress is a breeze when done on Google Docs as the app comes with an autosaving feature that ensures that any content you have written up and formatted isn't lost should your internet connection drop out or anything go wrong with your device. One of our favourite features of this plugin is the ability to import with formatting - the user can choose to import the post and it will be transferred along with the formatting from the Google Doc - this is a massive time saver and negates the need for copying and pasting content. The formatting will also be web-friendly - those of you who have tried to copy and paste formatted content from Microsoft Word before will know that it's not a smooth process and can often look different to how you imagined. Once imported, the posts will be saved as a draft - you can then login to your website's dashboard and publish it once you're ready. Will this be a useful addon for you? Let us know by sending a tweet to @Cosmic_UK!